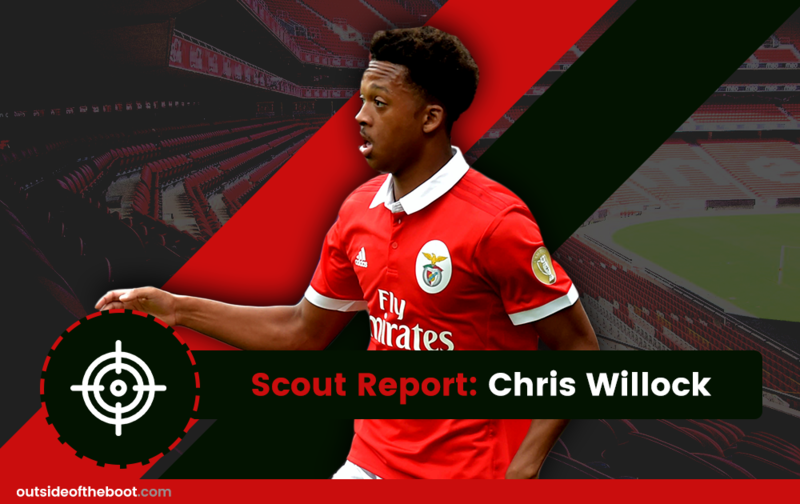 Hrishi Anand takes a look at youngster Chris Willock, whose move away from the Premier League could help blaze a new trail for young English talent. The Arsenal Football Club Youth Academy has seen steady improvement over recent years. Since Jack Wilshere’s breakthrough 2010-2011 season, the Hale End academy seemed to have stagnated but a new batch of talented youngsters is emerging from North London, with English winger Chris Willock at the forefront. Willock’s decision to reject an Arsenal contract and move to Lisbon to join Portuguese giants SL Benfica was a brave but calculated move. What better place for a youngster to develop than one of the most vaunted clubs in Europe regards to youth development? It’s a switch that also represents his willingness to leave his comfort zone to further his career. The move is certainly the right one at this stage of his career, and his personal and player development will no doubt accelerate under the tutelage of Rui Vitoria, as well as the watchful eye of Benfica’s elite youth development squad. Born in East London, Chris Willock has been around the Arsenal set-up for around 14 years, having joined the academy aged 5. Notably, Chris’ brother Matt was also a fellow Arsenal youth scholar before moving to Manchester United. Willock’s younger brother Joe is currently part of the Arsenal U-23 team, and recently featured in the 2017-2018 pre-season campaign as well. Willock opted to sign for Benfica in the summer of 2017, rejecting a contract offered by Arsenal. Willock was particularly impressive in his last 2 years as an Arsenal youth player from 2015 to 2017. Notable performances include two assists against Aston Villa in the U-23 Premier League 2 playoff, and a string of consistent performances in the UEFA Youth League. As a reward for his performances, he was handed his Arsenal debut in the 2016 League Cup tie at Nottingham Forest. 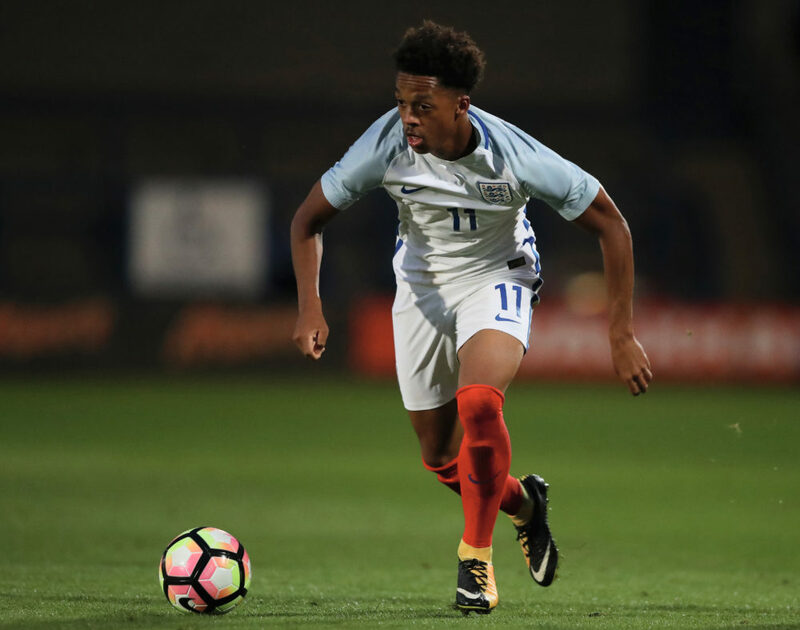 Willock’s international reputation also represents an advantage, as he is one of the first names on the team sheet for England’s U-23 squad. Predominately right footed, Willock’s style of play resembles that of an out-and-out winger quite a bit. He favors cutting in from the left wing before either looking for a pass or looking to score himself. Another notable aspect of his game is his involvement in the team’s attacking play rather than just appearing in the ‘right place at the right time.’ It’s usually his initiative in picking up the ball from deep that creates the opportunity to score, which he is also very often on hand to take advantage of. In summation, Willock is both a technically and physically gifted player. Called a ‘very interesting talent’ by Arsene Wenger, and being selected for the U-19 European Championships in Georgia representing England, Willock seems to be on the right track to become the next big thing. Willock’s close control, dribbling, pace, and finishing are what have set him a level higher than his fellow academy graduates. Usually picking up the ball in deeper locations, he possesses the ability to lose opponents with his pace and skill. His vision and decision making in the final third is also particularly impressive for such a young age. Usually deployed in an attacking trio, Willock is capable of playing on either wing, and has also appeared as a center forward for the Arsenal U-23’s. His versatility and skill set enable him to play as an excellent Number 10 operating behind the striker, or even as a False 9. Intelligent enough to operate in half-spaces as well, Willock is an all-round excellent attacking player with the ideal combination of intelligence and prowess. Additionally, his vision is another notable aspect of his game, as the winger enjoys assisting as much as scoring. The general idea around the academy set-up as well, is that Willock enjoys taking charge when the need arises, which indicates both his maturity and sense of responsibility. Technically a very gifted player, Willock’s only weaknesses lie in his physicality and game awareness, both aspects that will no doubt improve with age. Much like fellow Arsenal graduates Alex Iwobi and Ainsley Maitland-Niles, Willock is of quite a light build. Very quick off the blocks, his pace masks his physical shortcomings, but it would be a major asset to put on more muscle mass to add a physical element to his style of play. As mentioned previously though, Willock is only 19 and his development both physically and mentally is far from complete. In-game awareness is also another aspect the Englishman needs to work on. Operating as a winger, defensive duties form a major part of his game, and Willock’s willingness to track back and put in a shift will do no harm in impressing Benfica boss Rui Vitoria. Willock needs a bit more tenacity and stamina when not in possession, and should cultivate a defensive responsibility in himself as well. However, as seen with plenty of young players, this will definitely develop with age and appearances. Willock has seemingly already impressed Vitoria with his technical ability, so much so that he is frequently in first team training rather than the youth team. Understandably, Willock will have to wait a while before he can break into the Benfica first team. However, his exposure to seasoned players and the possibility of first-team game-time will have a great effect on the young winger. With the world at his feet, Willock needs to make an impact at Benfica. Gifted with technical ability, this should be of no difficulty as long as his skill is complemented with hard-work. 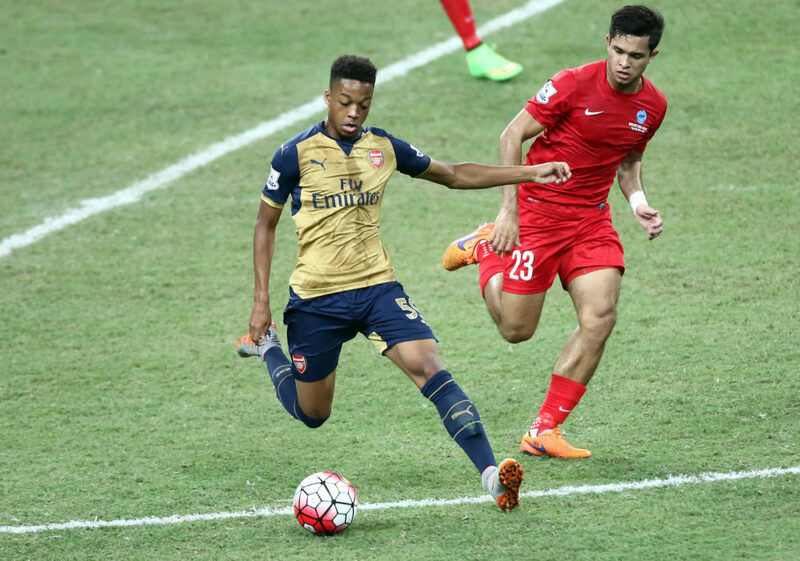 Willock may have a long way to go, but the future looks bright for the Arsenal-bred winger.